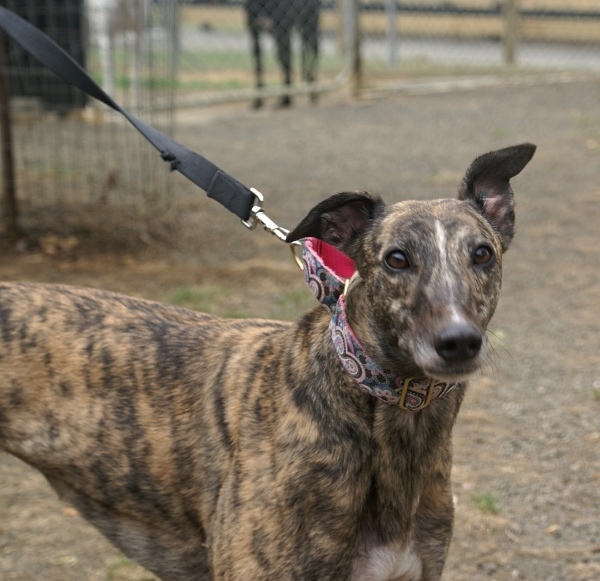 Sophie is a delightful and friendly hound ready to find a place in your heart and in your home. She is funny and playful and particularly loves water play. She will entertain herself and show off her running skills after a splash and paddle in the troughs! Sophie loves people and whilst she can be social with the other greyhounds she much prefers the company of humans. She will be happier in a home as an only child where she can steal all the loves for herself!